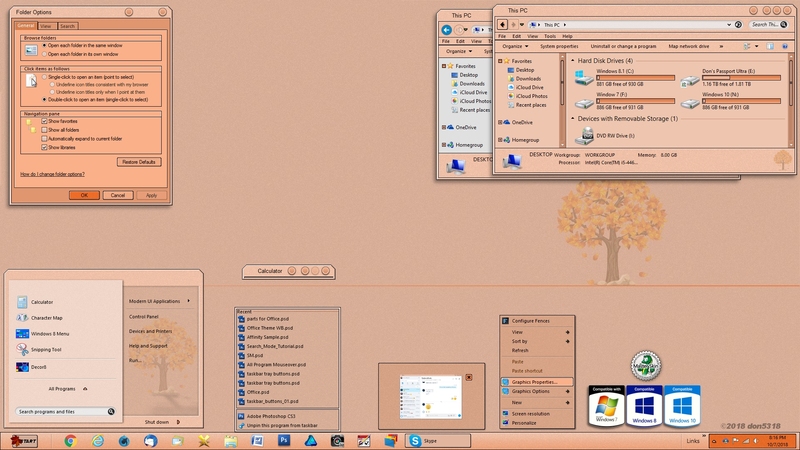 That time of year, fall is up on us, so I came up with Fall 2, it's light in color, and a tinge of fall color, has sub styles for Win 7, Win 8.1, Win 10, light/dark Explorer background, and a roll up button. Also, the wall paper is included in the zip file, if you choose to use it. Enjoy, and thanks to all those who test my skins, and for all your support in purchasing my skins. The color is lovely and unusual too! Very Pretty! I like it. Thanks sonyadas, cardinalsyn_25, and Mindy.